Arlington Transportation Partners’ (ATP) Property and Development Services (P&DS) team works in partnership with the real estate community in Arlington County to minimize the impact of development on the local transportation system and reduce single occupant vehicle trips by offering better travel choices at the building level. The P&DS program coordinates and monitors the design and implementation of physical building features in site plan projects while also working directly with developers, landlords, and property managers to implement sustainable transportation amenities, programs, and initiatives for building tenants. The Commercial Services team partners with commercial office building owners and property managers to provide easier commuting access for tenants and employees by implementing building-level transportation features. 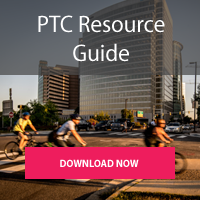 This includes physical transportation amenities for tenants, promotions, and events to encourage sustainable commuting modes and customized relocation services to attract and welcome new tenants. ATP’s Commercial Services team also provides opportunities to improve building competitiveness, engage tenants, and earn recognition in the region. 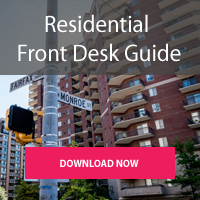 The Multi-Family Residential Services team works in partnership with property management companies at apartment and condominium buildings throughout Arlington County to meet a community’s unique transportation needs. Through innovative mobility programs, tailored services, and creative solutions, ATP provides opportunities for multi-family residential buildings to increase their marketability and visibility in the community, while improving resident satisfaction and occupancy. The Site Plans team of ATP’s Property & Development Services coordinates the design and implementation of transportation elements in large building projects and partners with developers and property managers to ensure that transportation requirements and services enhance the mobility of residents, employees, and visitors. 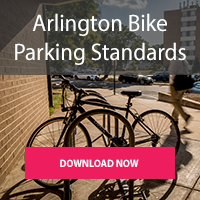 The Site Plans team works Arlington County Planning, Zoning, and Environmental Services staff to monitor compliance at site plan properties during all stages, from design and construction to ongoing operations and management. This work aims to support the successful implementation of a property’s Transportation Management Plan and mitigate the transportation impacts of new building occupants. Learn more about the TDM for Site Plans process.